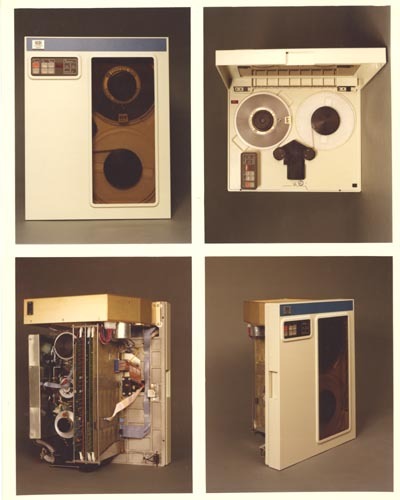 tape reels and read station; bottom left - rear view tith cover removed to show electronics and drive motors; bottom right side view with cover removed. Verso ink: "Magnetic Peripherals Inc. Tape drive O.E.M."